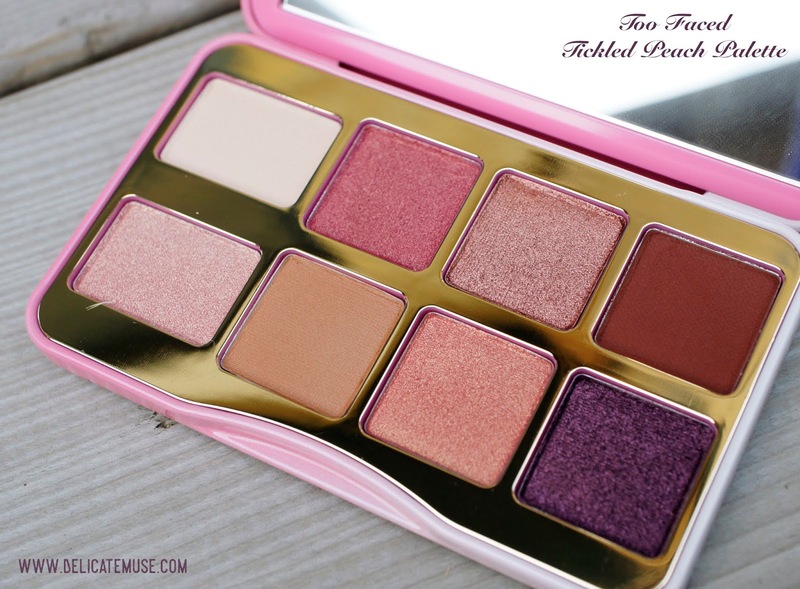 Today I'll be sharing my review and swatch on the newly released Too Faced Tickled Peach Mini Eye Shadow Palette ($32 CAD), a purse-ready palette of 8 creamy matte and shimmer shadows inspired by their bestselling Sweet Peach Eye Shadow Palette. 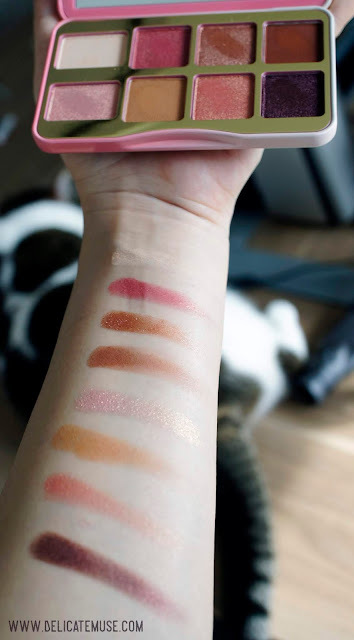 Let me just say though, how difficult it was to finally decide on this palette amongst the sea of mini palette releases from Huda Beauty, Natasha Denona and Urban Decay. 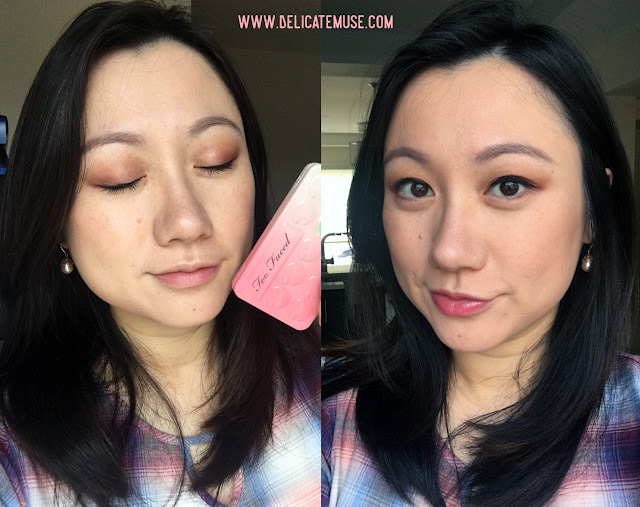 Knowing how popular the Sweet Peach palette was last year, I was keen to get my hands on a mini version that featured slightly different colours with a warmer tone. 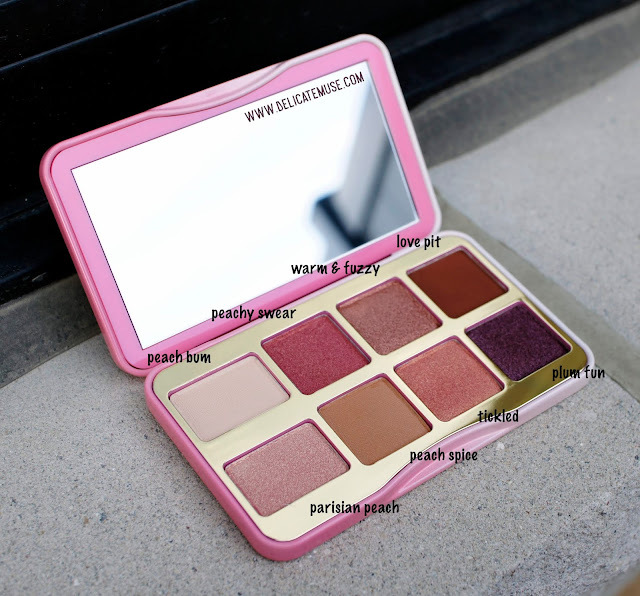 Too Faced eye shadows tend to have soft velvety formulations that are build-able, and colour selections that are wearable for study, work and travel. 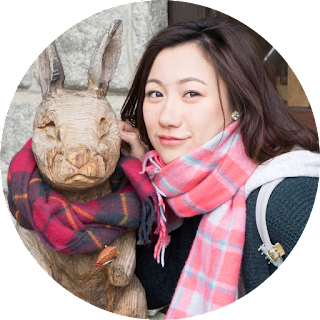 I was also looking for a bite-sized buddy in my collection to complement the highly pigmented Tartelette in Bloom and Modern Renaissance palettes which I use daily. As with all the regular Too Faced palettes (e.g. 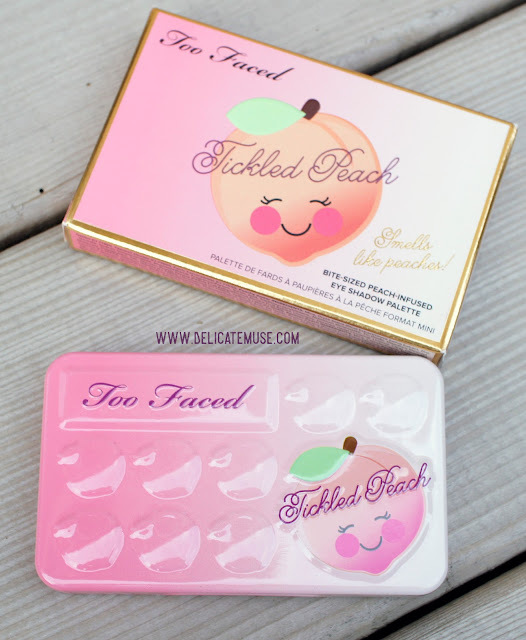 the chocolate series, and the sweet peach), the mini peach palette comes in a solidly constructed tin packaging that exude a noticeable peachy scent upon opening, which reminds me of fuzzy peach candies. 😋 While it truly is mini and fits in the size of my palm, the palette includes a brilliant full-size mirror (unlike their usual letter-framed ones for full-size palettes), which makes it SUPER useful for application and travel. I also love that the inside packaging is a gold colour rather than black, which in my opinion is so much prettier than their previous Sweet Peach and White Peach palettes. 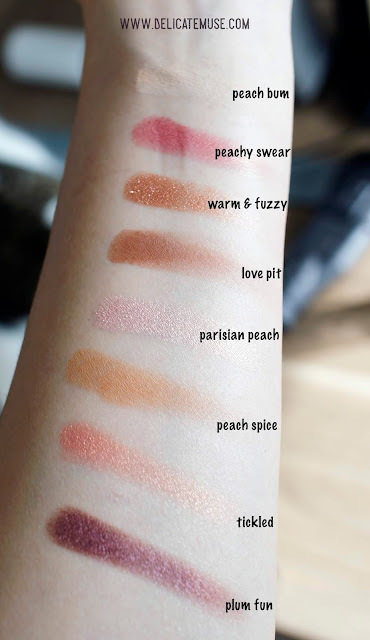 The three mattes in this palette, peach bum, peach spice and love pit are velvety smooth and have medium pigmentation. The rest five are shimmers shades, out of which peachy swear, parisian peach, warm & fuzzy and tickled all having super fine gold-hued shimmers that complements the colours well. These are colours I would pop on the centre of the eyes, as well as using parisian peach to highlight the inner corners. Below are two photos of the arm swatch. Each colour glided smoothly while smelling deliciously peachy. Although Plum fun looks like a dark purple in the pan, it actually glides on a plum-hued dark chocolatey shade, making it perfectly wearable for outer corners of the eyes. Amongst the 8 shades, peachy swear and plum fun have the highest level of colour pay-off. Swatch take 2 - further indoor with partial natural light. And cat. I was able to test out this deliciously-smelling palette for my 6-hour outing yesterday. The shadows blended easily and stayed pretty on top of the Too Faced Shadow Insurance primer. The peachy scent dissipated quite quickly after the application to the eyes. By evening time I'd say there was very minor fading of the colours, which was only noticeable as I was closely examining my eye makeup in the mirror. Below is my eye look for yesterday - a natural look under 5 minutes using the Tickled Peach Mini Palette alone. Overall, I really enjoyed using this mini palette. Its price point, packaging, colour selection and functionality all hit the marks for my current needs of 1) complementing the other highly pigmented palettes I own, 2) can complete everyday eye-looks by itself and 3) is travel-friendly.